Daniel Cotzin Burg has been Rabbi of Beth Am Synagogue since July of 2010. Prior to his position at Beth Am, he served at Anshe Emet Synagogue in Chicago. Ordained by the Ziegler School of Rabbinic Studies at the University of Judaism in Los Angeles (now American Jewish University), he holds an M.A. in Rabbinic Studies and another in Jewish Education from there and a B.A. in Hebrew Studies and Anthropology from the University of Wisconsin. Rav Daniel is a fellow in the Rabbinic Leadership Initiative of the Shalom Hartman Institute in Jerusalem and is a contributing author to Keeping Faith in Rabbis: A Community Conversation about Rabbinical Education (Ed. Herring and Roscher) and Celebrating the Jewish Year: The Spring and Summer Holidays (Ed. Steinberg). His writing has appeared in eJewish Philanthropy, the Jewish Review of Books, The Forward, The Times of Israel, the Baltimore Jewish Times and the Chicago Sun-Times. He was featured in the Cover Story for Conservative/Masorti Judaism’s international publication and in Baltimore Magazine and has appeared in The Atlantic, the Baltimore Sun and on MSNBC and several local Baltimore media outlets. He blogs at www.theUrbanRabbi.org. Rabbi Burg has helped to articulate a congregational mission and vision for Beth Am’s community engagement initiative (See New Jewish Neighborhood Project) and “In, For Of, Inc.” a 501(c)3 organization affiliated with Beth Am. He serves on the boards of Jews United for Justice and the Institute for Islamic, Christian and Jewish Studies (ICJS). He has been a vocal supporter in Annapolis and Baltimore of marriage equality, police reform, legislation to curtail gun violence and other important social and societal issues affecting Beth Am’s city and state. Rabbi Burg lives near Beth Am in the historic Reservoir Hill neighborhood with his wife Rabbi Miriam Cotzin Burg and their two children, Eliyah and Shamir. Cantor Ira Greenstein has served as hazzan, choir leader, and teacher at Beth Am since 2000. He received his commission through the Conservative movement of Judaism. The Cantor possesses a rich bass-baritone voice, a deep love of Jewish music, and an engaging personality that invites and encourages congregants to participate in the worship service. 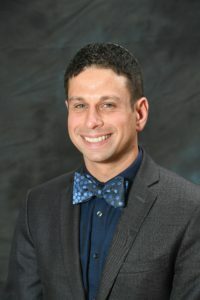 Cantor Greenstein previously served congregations in Bethesda and Columbia, Maryland; Augusta, Georgia; and New York City. A native of Long Island, he graduated from the Jewish Theological Seminary’s Prozdor program. In his youth he was a teacher’s aide, choir member, junior congregation leader, and a member of the Camp Ramah staff. 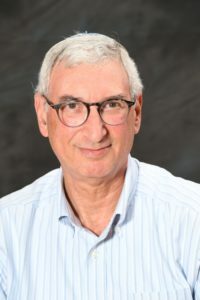 He received much of his post-secondary musical training at the University of Maryland, from which Cantor Greenstein earned three secular degrees, including an M.A. in educational administration. He has been a soloist and member of several Maryland choral groups, and he has composed and arranged vocal music for the synagogue and for concert performance. Cantor Greenstein and his wife Roberta have two adult children: Rabbi Hannah Greenstein Wallick, living in Milwaukee, Wisconsin with her husband Karl and her children Matan and Yael Steigmann, and Ben Greenstein, a Baltimore area business professional married to Andrea. Our Cantor inherited Beth Am’s musical tradition of Cantor Abba Yosef Weisgal. Weisgal served as hazzan in Beth Am’s building for over 50 years, at the time when it was home to Chizuk Amuno. Weisgal’s melodies, blended with compositions from Sulzer, Lewandowski and other great hazzanim, fill Beth Am’s worship service with a unique spirit. In addition to leading services, Cantor Greenstein teaches various programs and periodically leads classes for adult learners. Rabbi Kelley Gludt joined Beth Am as the synagogue’s first Director of Congregational Learning in January 2012. She spent the previous six years as Assistant Rabbi and Education Director of Tucson, Arizona’s largest Conservative congregation. 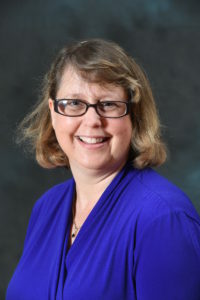 She received her rabbinic ordination in 2005 from the Ziegler School of Rabbinic Studies and also holds a Master of Arts degree in Rabbinic Studies from the U.J. Born and raised in Southern California, she graduated from California State University of Long Beach with a degree in Journalism. Before pursuing her graduate studies, Rabbi Gludt spent a decade working as an editor for a variety of publications. She has been married for more than 20 years to her high-school sweetheart, Rob, and they welcomed son Romi into their family in 2008.